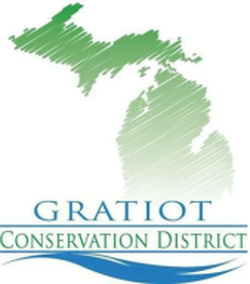 Gratiot Conservation District is here to provide information and technical assistance to private landowners, local units of government, educational institutions and other citizens to better understand, plan, manage, protect and utilize the resources of Gratiot County. ​After the Dust Bowl of the 1930’s ravished the land and national attention was focused on the devastating effects of soil erosion, President Franklin D. Roosevelt established conservation districts as units of local government to preserve and manage America’s natural resources. Thanks to the ongoing conservation partnership between local landowners and conservation districts, our land is in far different shape than it was in the 1930’s. The Gratiot Soil Conservation District was organized April 28, 1952, as the 64th conservation district in the State of Michigan. It is governed by five local directors who are elected for four-year terms at annual meetings. Since 1953, the Gratiot Conservation District has held an annual tree sale. The profits from the tree sale help to support the District’s programs. Since 1990, the District has planned and managed the publishing of Gratiot County Plat Books. These books are published approximately every three years and are a very useful county resource. In 1993 the District obtained 90 acres of land located in Seville Township, which was then leased to Gratiot/Isabella RESD. This property has been transformed into a learning center called the Forest Hill Nature Area. This nature center provides an outdoor learning experience for approximately 2,000 school children each year.